The Goblin Hills Hotel Villas is a superior first-class hotel resort complex overlooking the San San Beach and each hotel villa is staffed with a cook/housekeeper. 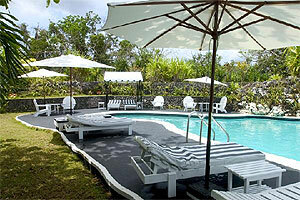 The hotel has excellent facilities as well as comfortable guest rooms and public areas. All of the guest rooms are comfortable and nicely equipped to give a feeling of being home while away from home.